Buy Nerd Empire a Coffee. ko-fi.com/nerdempire - Ko-fi ❤️ Where creators get paid by fans, with a 'Buy Me a Coffee' button. Hi, I'm J.R. and let me tell you starving writers love coffee, and we love you for considering buying one! Nerd Empire is a place for all things nerd-- from interviews with concept artists to articles about VR to short stories about dragons in the desert-- this site is a shrine to nerdness, a sanctuary to help my fellow nerds survive. Visit anytime! Thanks for visiting! I hope you like what you've read over on Nerd Empire. 3$ doesn't cover a real coffee anymore, but sharing the love to support creative work, well that kind of kindness is priceless. Secured Payments. 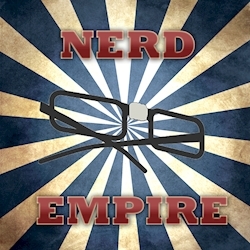 Support goes to Nerd Empire's account. Upgrade Nerd Empire to a yearly Gold Membership with a one-time payment.